Is your Halloween Costume Respectful or Offensive? 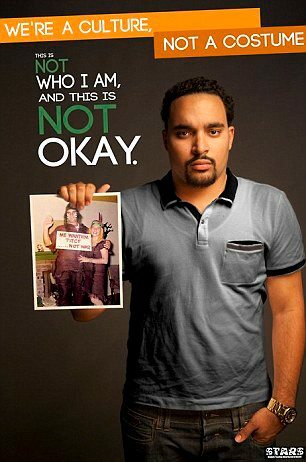 Halloween Costumes have the potential to continue offensive stereotypes. We each have a responsibility to each other and taking on someone else’s identity, even for the fun of halloween, has the potential to hurt. Take responsibility for what message you are sending. Choose your costume wisely. Thanks for posting this. I’m bookmarking it to use before next halloween. I wish I’d seen it earlier. I talk about that with my class but a picture says a thousand words…or something like that.